Time and I are on opposite sides of the seesaw at present. Not only that, time is on one side of a seesaw in a totally different playground to the one I’m riding in, so sometimes we’re both bobbing upwards, other times we’re both bobbing downwards, and yet at other times we are so out of sync we’re here there and everywhere totally out of step. Or seesaw. Or swing. We’re in that latter stage at present. To say my blogging isn’t consistent is an understatement. My visiting worserer than it has ever been before. Everer. And even my replying to comments has been shocking of late. And even posting here even, here, even, on this blog, where I try to post at least once a day, several days were missed last week. Sigh. I do read my comments though, even if I don’t reply straight away. A recent comment on my recent post Success literally spoke out to me. It resonated on that wavelength that screams YOU MUST SHARE THIS. 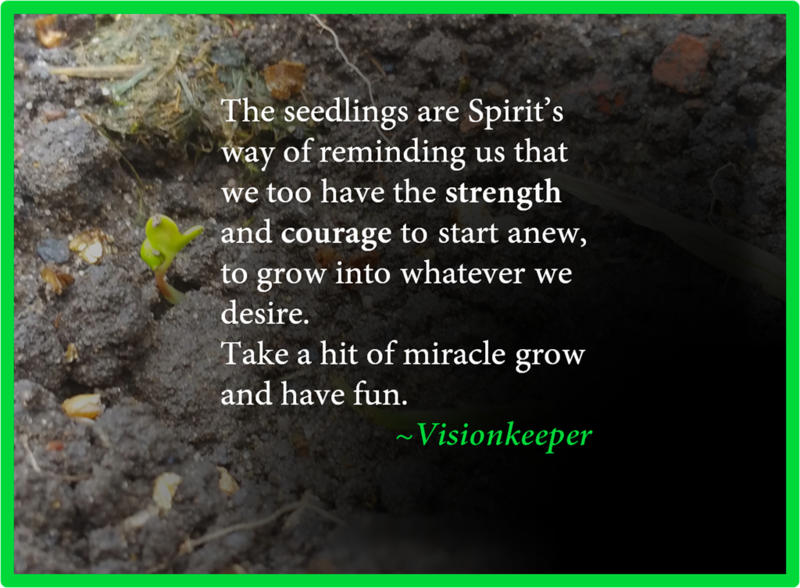 The seedlings are Spirit’s way of reminding us that we too have the strength and courage to start anew, to grow into whatever we desire. Take a hit of miracle grow and have fun. I’ve altered a couple of words but the message is still the same. So, start afresh and have fun. This is me doing that. With thanks to Visionkeeper. There’s all sorts out in the Grinds. Some obvious, some not so. Today’s post is brought to you by a form of contemporary dance. Mostly the aspects of unpredictable changes in rhythm and speed, jerky directional movements and sudden falls and recovery, it is interspersed with a jolting head-bobbing movement and rapid eye-blinking. Water is on hand for thirst-quenching properties and painkiller takeage alike. Legwork is calm and controlled. Nimble fingers gingerly tumble effortlessly and meaningfully across the alphabet’s letters randomly – yet uniformly – arranged across a touched and well-loved keyboard. Well-worn keys shine with a well-used gloss (the word ‘well’ used, well, exceptionally well…) whereas the ‘Z’ key and the key with the Windows symbol are perfectly untouched. The left shift key is now almost a blank key, with the faintest remnant of the arrow barely visible upon it. Up and down work fingers and key alike, each key press reverberating a thousand times like the building crescendo of an orchestra of drums and cymbals, crashing and rasping and suddenly fading… until the next key press. 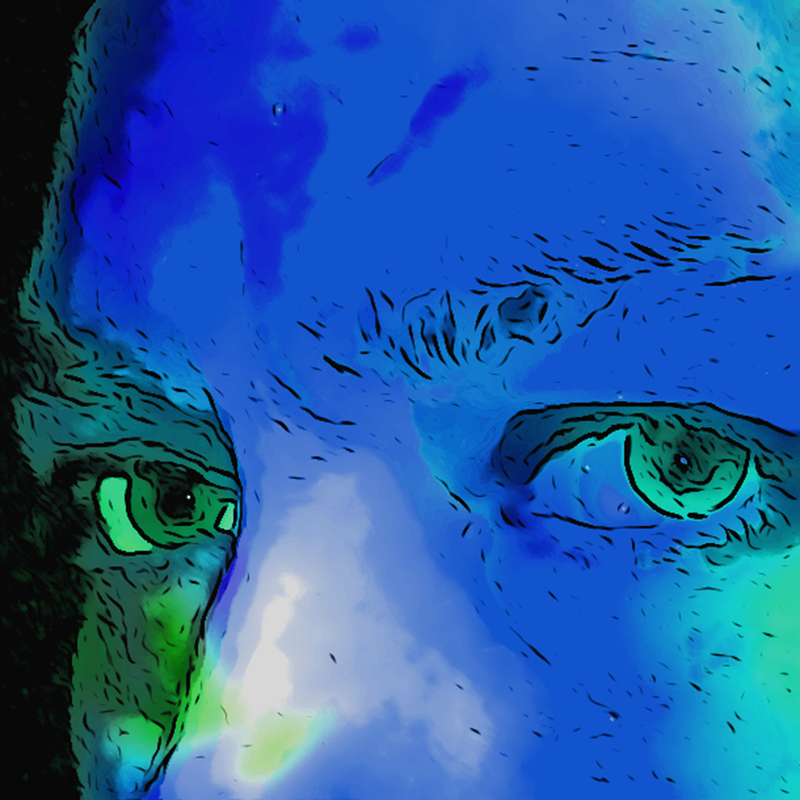 Eyes water with each clattering keystroke, words appear on screen then disappear through the tears of the one remaining open eye. Breathing is deep, and controlled. 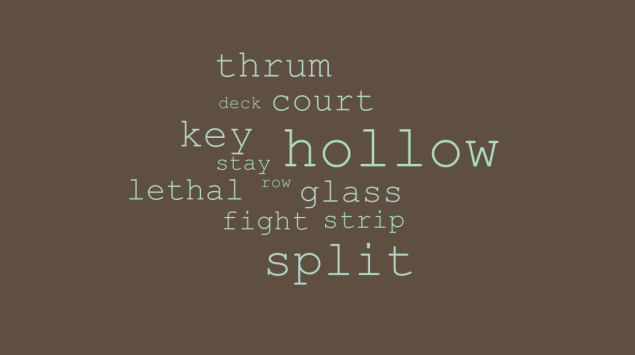 Keys, whether almost stripped bare or still cloaked in their alphanumeric mask, assist with getting the message across. Slightly over-exaggerated references blur the message as the headache blurs the thought processes. Every muscle in the upper part of the body is tense, deep breaths aid relaxation. Painkillers help with the headache. And sleep, I’m sure, will help with the rest. Adapted images obtained from Pixabay. Debbie’s one-word photo theme for this week is ‘Success’. In order to be successful at something, we need to have succeeded in something. Now, let me put it on record that I’m not very green-fingered, but recently I’ve been getting the urge to create a little flower patch. I have absolutely no idea where these urges and ideas come from, but I went with it. I created a smallish patch and planted a few bulbs and scattered a few seeds. A couple of weeks later, I was astounded to see seedlings appear… several of them dotted over the patch. One of them caught my eye in particular, for it looked to me like an arm stretching from beneath the soil, and it was giving a thumbs-up sign. And if that isn’t a sign of success, I don’t know what is! Perhaps I’m slightly more green-fingered than I initially thought. Close-up photo of an emerging seedling taken using Galaxy Note 4 mobile phone, April 2017.